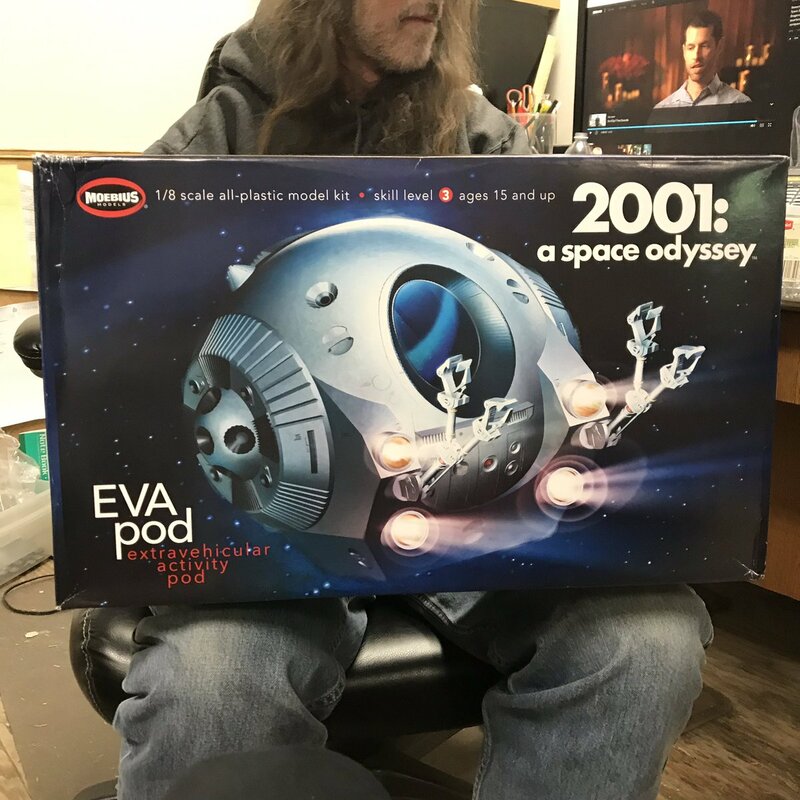 More pictures of Moebius' upcoming 1:8 2001: A Space Odyssey EVA Pod are starting to eek out! As I mentioned in my previous Google+ post, the kit will feature a full detailed interior that can be lit up. It will include marking decals. When completed, the model will be about 10 inches tall. MSRP will be $189.99. It will be arriving to retailers the first few weeks of February 2019. See the picture below from Monsters In Motion to get an idea of how big the box is! Looks amazing but way out of my price range just now. That looks amazing! Having the interior all lit up would be great! Does it include any in scale figures?